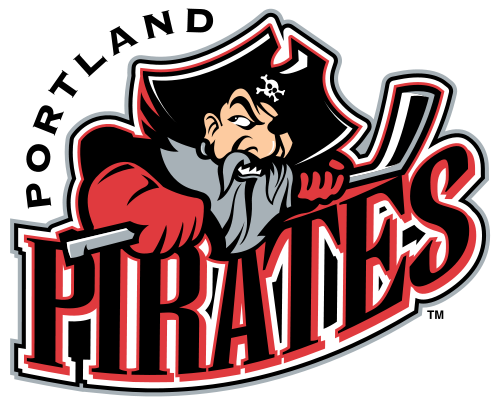 The Portland Pirates are embarking 21st season in Maine, but it might just be the last. 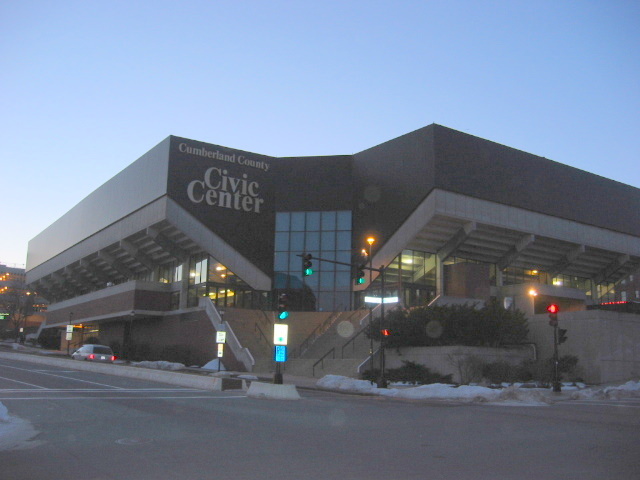 A very nasty and public dispute between the team and the Cumberland County Civic Center, the team’s home, might just send the team elsewhere. The Pirates are expected to play the entire season in Lewiston, Maine, a city in Central Maine, instead of Portland. The Pirates must be able to overcome the distraction of a public feud and the possibility of the franchise relocating. Also, the Pirates must try to overcome some big losses to their roster as well. Captain Alexandre Bolduc, the team’s second leading scorer, left the Coyotes organization to join the St. Louis Blues and goaltender Chad Johnson is now a member of the Bost0n Bruins. The loss of Chad Johnson creates a big void in the crease for the Pirates. Last season, Johnson split time in net with Mark Visentin with Johnson getting slightly more game time. Now, it appears as if the Pirates might use either Chris Rawlings, who played one game with the Pirates last season, or Mike Lee, who spent the majority of last season with the ECHL’s Gwinnett Gladiators. My bet is that the Pirates end up going with Lee in net for the simple reason that he is more experienced and gives the Pirates a better shot at success. The goaltending frightens me a little. they don’t have that solid one-two punch of Johnson/Visentin any more. Visentin will carry the majority of the workload and that could hurt the Pirates further down the long season. Replacing Bolduc isn’t going to be easy, but it isn’t as difficult as replacing Johnson. The Coyotes now have a prospect in Brenden Walker who is going to play in Portland this season. Although Walker is a winger and not a center like Bolduc , he has shown that he can score. As a member of the Saskatoon Blades last season, Walker scored an admirable 76 points in 72 games and during his four years in the WHL, three with the Brandon Wheat Kings, he scored 50+ points in three of them. The Phoenix Coyotes’ first round pick Max Domi, a highly touted prospect in the NHL, is not old enough to play in the AHL yet and therefore will not make an impact on the Portland Pirates as of yet. If Walker does play for the Pirates this season, it gives them a nice offensive player. However, the Coyotes will see this too and potentially call him up. Presuming Walker puts up good numbers, it would all but kill the offense for the Portland Pirates if he is called up to Phoenix. That’s the way it goes in the AHL. You have to expect these things. The Portland Pirates finished in sixth place in the Eastern Conference last season and I expect pretty much the same, if not slightly lower. The Pirates lost a few good guys on their roster and with the possibility of the team moving for good, the Pirates will be a low seven or eight seed in the East. The question mark is simply on whether the newer players on the team and just plug right into the system and if Brenden Walker isn’t called up to Phoenix during the season. It’s been 19 seasons since the Calder Cup was awarded to the Portland Pirates and at the end of this season, it will be number 20. I don’t see the Pirates making a serious threat for the Calder Cup and I see them getting bounced out of the playoffs early, if they even make it at all.